Raj has been investing in information technology and the energy and resource sectors for 23 years. His primary areas of interest are software, security, storage, energy efficiency, transportation technologies and novel financing models for deploying distributed energy infrastructure technologies. Prior to Activate, Raj was a co-founder of Silver Lake Kraftwerk, a growth equity fund focused on late stage private companies across the energy and resource sectors. 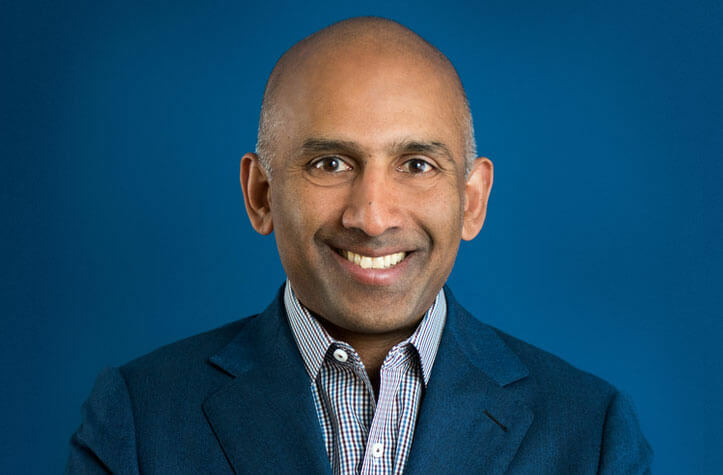 From 2000 until 2011, Raj lead the cleantech practice at Draper Fisher Jurvetson, one of the premier early stage venture funds in Silicon Valley. DFJ was an early investor in notable companies including Tesla Motors, Solar City, EnerNOC, Brightsource Energy and Sea Micro. From 1996 to 2000, Raj worked on energy and technology investing for TL Ventures. Raj has served on several private and public boards, and co-founded DFJ Element with David Lincoln in 2005 – at the time, the largest fund ever raised for the cleantech sector. Raj is a frequent speaker on innovation in the energy and resource markets, and has keynoted numerous conferences dedicated to sustainability and innovation. Raj has both a BS and MS in Environmental Engineering from Stanford University as well as an MBA from the Stanford Graduate School of Business.